Thanks to Charlie Mullendore of Antietam Classic Cycle and Bruce Giller for providing me with this excellent pattern and pictures. Charlie originally got the idea for this bracket from the bracket on Pat Gilbraith's Ambassador that was created by Pat's late husband, Chuck Galbraith. 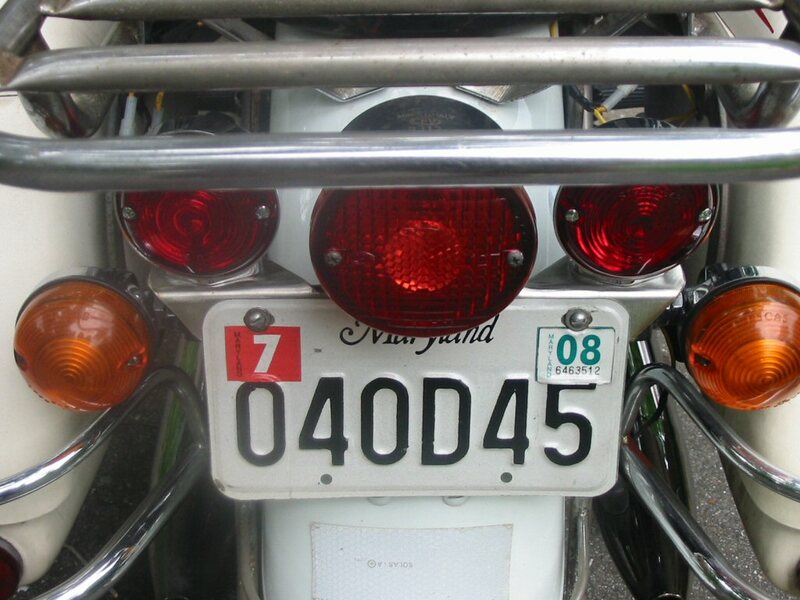 The biggest difference between Charlie's and the original that Chuck made is that Chuck's was wider and mounted reflectors on either side of the license plate. Bruce crafted the lovely pattern. I made Charlie's rear light bracket for my Eldo and here is a picture of it. It is made out of 10 gauge SS - easier to cut than I thought with a right angle grinder and a Zip blade. It is nice to have two more bright lights on the back especially when braking. When I've got stuff on the luggage rack, the light is sometimes hard to see. You'll notice that I had to make a slight modification to the original design to clear the turn signals; made a 45 degree cut at both ends. So I revised the drawing of the bracket to include the cutoffs. The lights used are J&P Cycles part no. 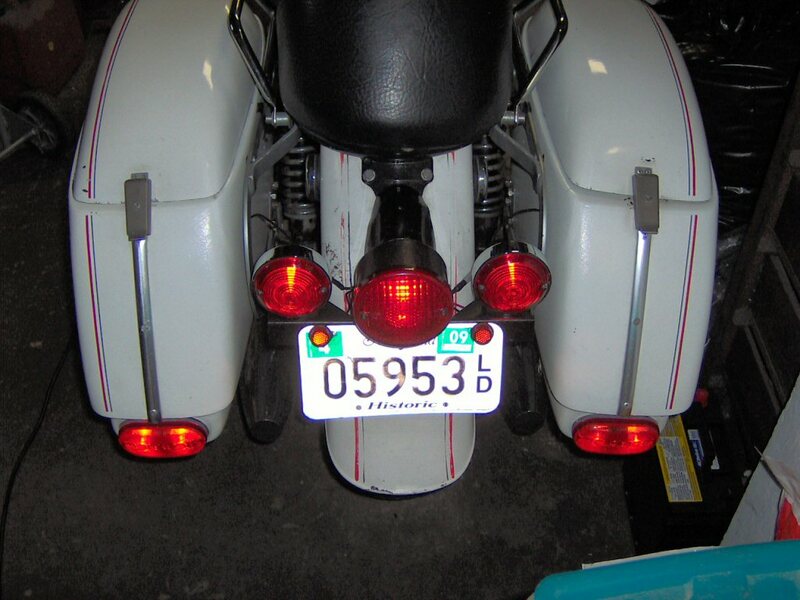 3200385 63-85 Harley FL style chrome die-cast turn signals. Pattern for auxiliary rear light bracket for a loop frame Moto Guzzi. 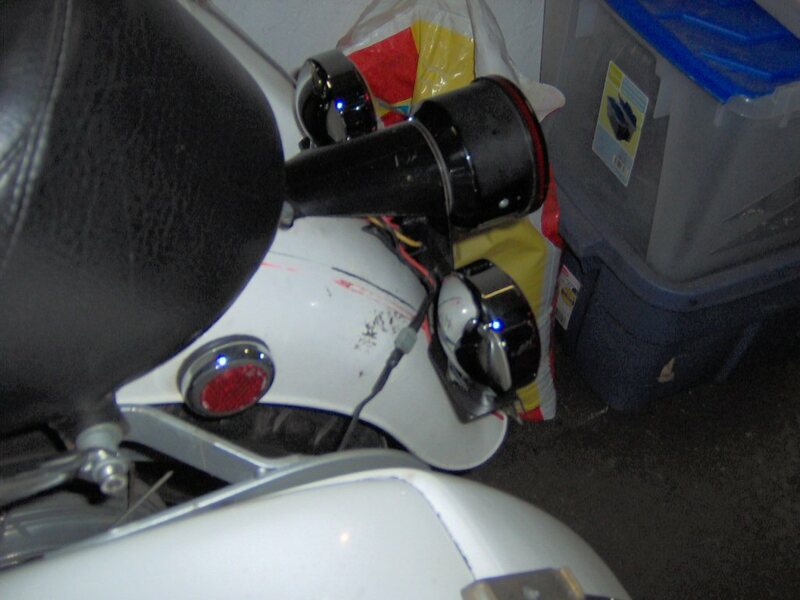 Alternative pattern for auxiliary rear light bracket for a loop frame Moto Guzzi with cuts to clear turn signals. Wiring diagram for auxiliary rear lights. Photo courtesy of Bruce Giller.